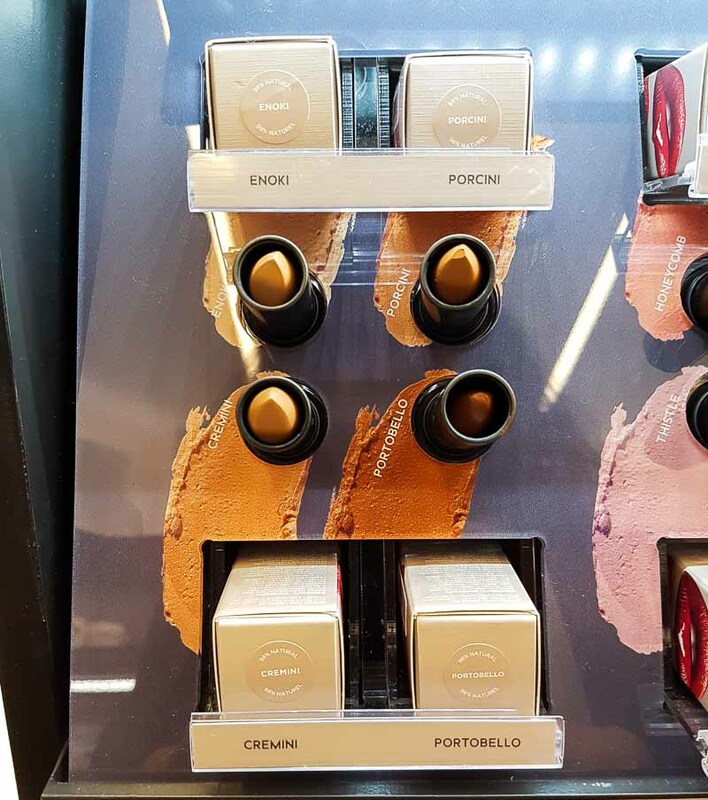 The Bite Beauty Amuse Bouche lipsticks in general have a fabulous formula - light-weight, lip-friendly, and quite pigmented. 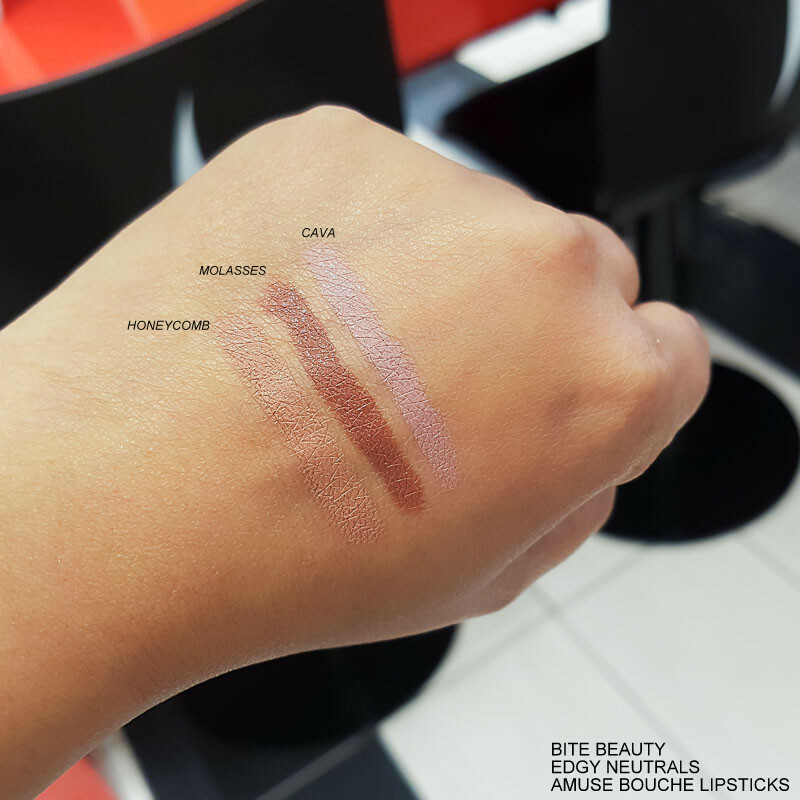 Much as I love the formula, I don't think any of the colors in the new Edgy Neutrals lipstick collection would work for my skin tone. 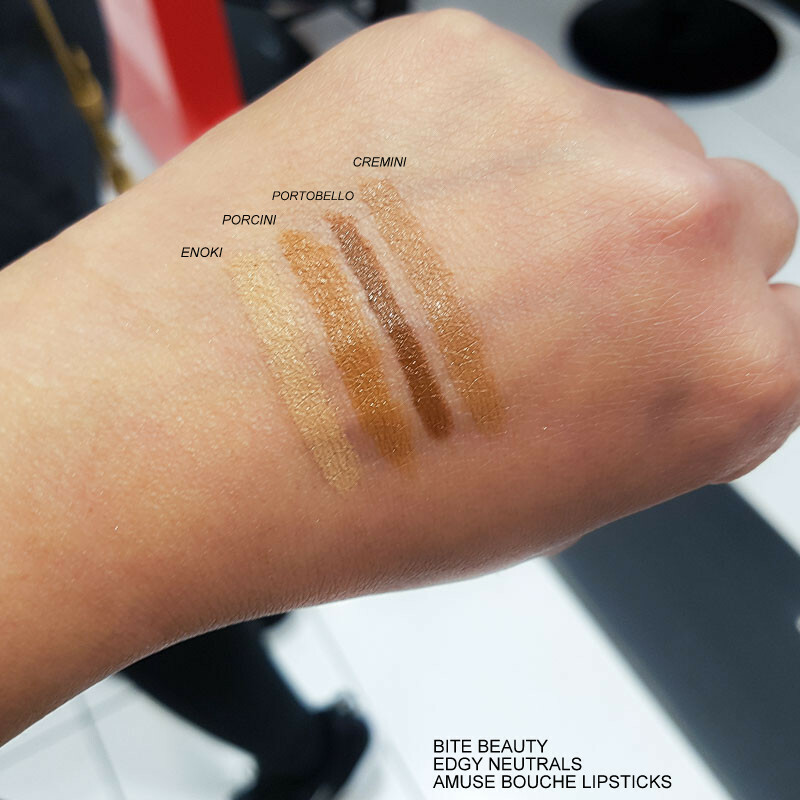 The brownish shades are just too yellow - looking almost like foundation swatches against my skin tone - while the paler ones are just too pale. That's just me, though, and if you like these sort of colors and/or can carry off these edgy neutrals, then do give this range a try.